This is the week where everyone’s posting their “almost finished” pictures. Wellllll…that’s not me. Ha! I’m trying to block out those images in my head and be thankful for the progress we have made, but man, we have a lot to do in one week! The big things this past week? 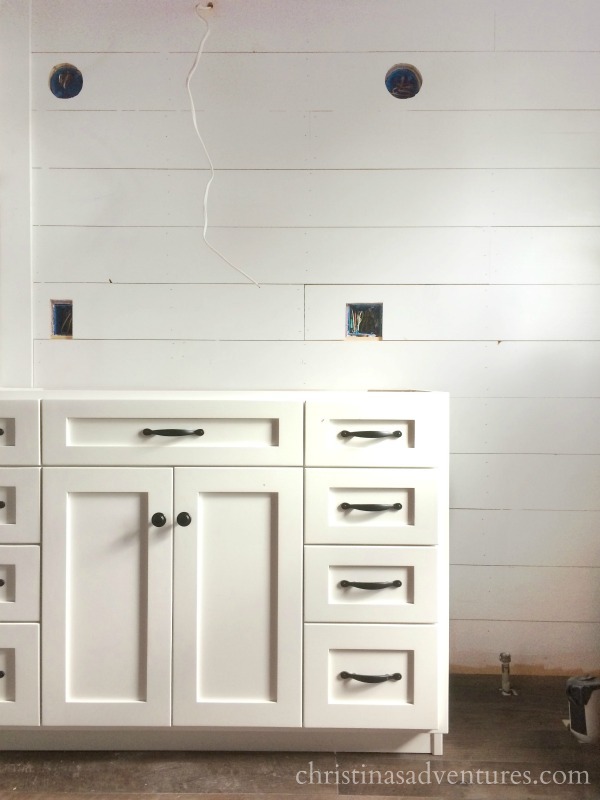 Ceiling progress, shiplap, and finally our cabinets! We’ve been working at putting these planks on our ceiling. This is our third wood ceiling in our house – we used Stikwood in our hallway and did our own DIY wood ceiling in our kitchen. I have to say, this one is really not my favorite way. The product has been kind of frustrating to deal with – the tongue and grooves don’t connect well together and it’s just gone slower than expected. Nothing terrible, just kind of an annoying job. I can’t WAIT to get our American Standard tub in this nook! It’s going to look soooo good, and I can’t wait to actually use it too. 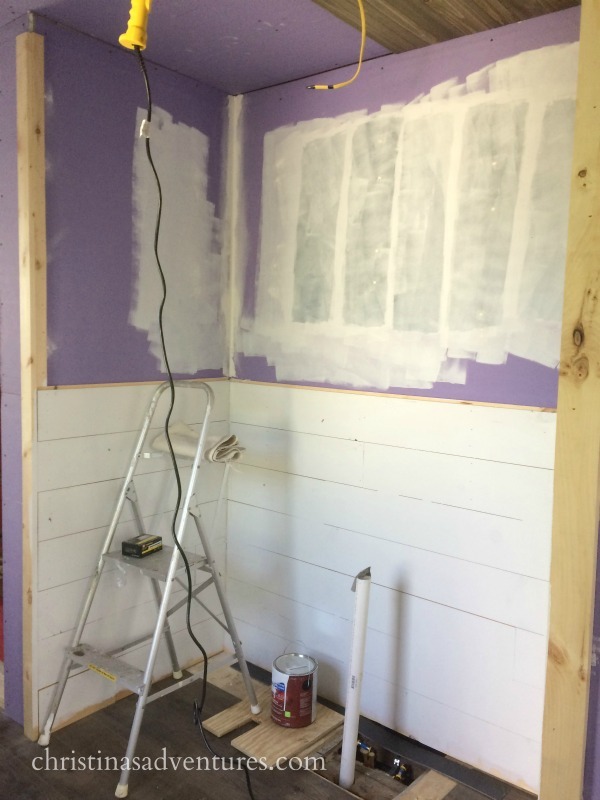 My poor son is so ready for our bathroom renovation to be done- he said to me yesterday “Remember when we had a bathtub that worked and no problems?” I just about died – he’s going to be SO excited to take a bath in this tub! In other news, I painted our shiplap and some of the trim (HGTV HOME by Sherwin-Williams: White Cotton). Our shower prep work has been done, but now we still need to tile it. See our affordable tile plan here. Can’t wait to get our Barn Light Electric lighting installed later this week! Ahh it’s going to look soooo good! Well, friends, prayers would be appreciated for us this next week! We’re going to be spending a LOT of time finishing up the room – and I’m praying it all comes together! Make sure you’re following on Instagram for all of the behind-the-scenes pictures of our progress! 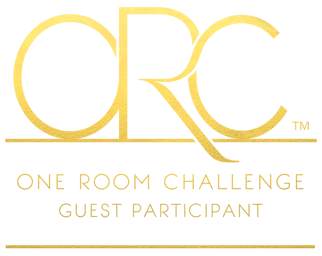 I’m doing this project as part of the One Room Challenge, where I’m a guest participant. Ahh craziness!! This next week will be insane – hope you can get all of your projects done too! This is beautiful! Just love it! Every stage looks better. Thanks so much Susie!! Can’t wait for it to be done! I love this already, can’t wait to see your reveal!! A girl after my own heart! I absolutely love everything about this room and so looking forward to seeing it all come together next week! Thank you, Maureen!! I can’t believe there’s only a few days left! Ahh! 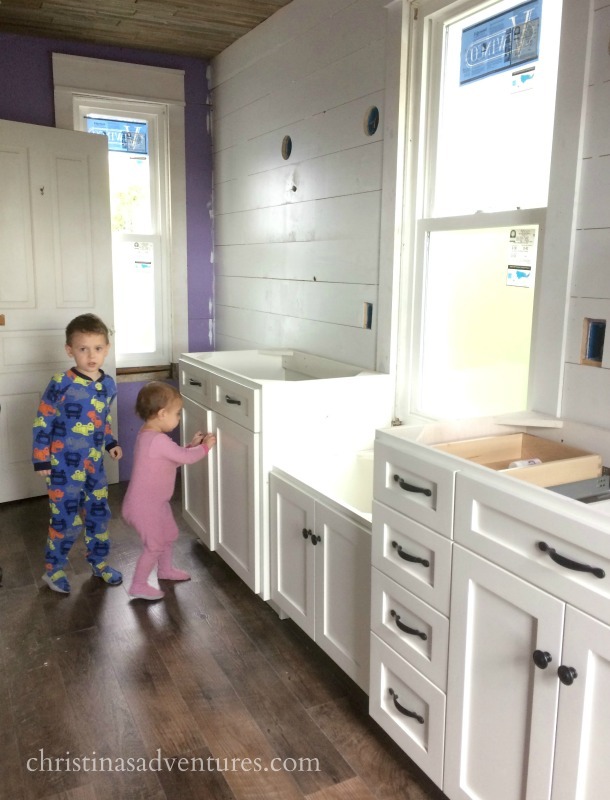 Those cabinets are soooo pretty! I can’t wait to see how it all comes together! Look in’ good!!! Can’t wait to see the finished product! Hi. Beautiful bathroom! Do you by chance know how high the vanity is? And then with vessel sink? I’m looking at a dresser to convert but height is 30 in…my sis says that is too short but I feel once a sink is placed on top it will be ok!! Can you share what Amish Cabinet Builder you used for your bathroom and kitchen cabinets. We are in the planning and demo. 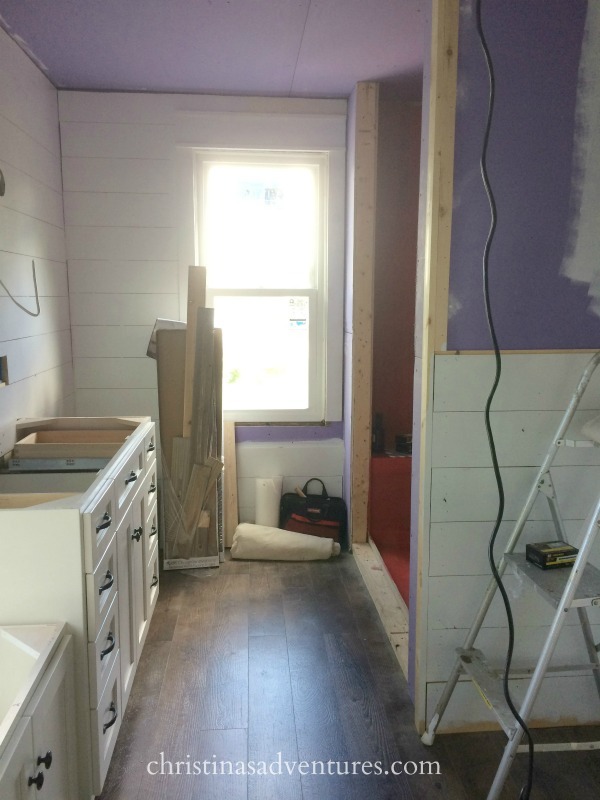 stages of a budget friendly DIY kitchen/dining area renovation. You have a beautiful home and family! Your kids are growing so fast! Was wondering if there’s a post about your cabinets that were Amish made! Hey Jamie! Not yet – but it’s on “the list” of posts to write since I’ve gotten a lot of questions about it!